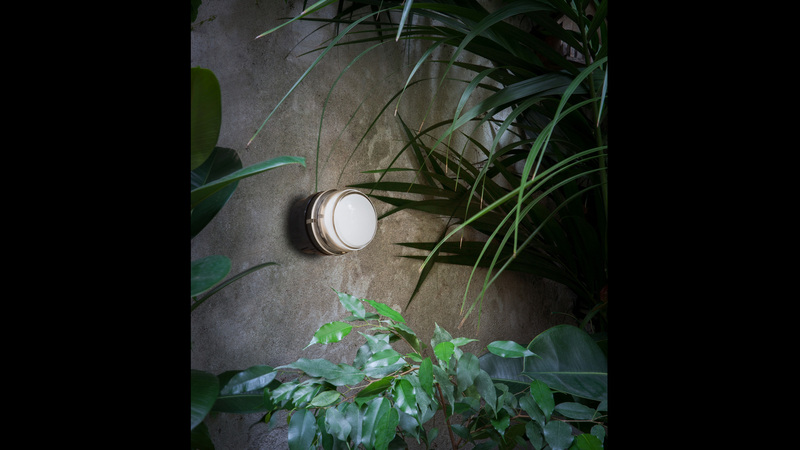 A small lamp, a 10 centimetre diameter spot on the wall which can fit into the palm of your hand, with glass that is really a lens, a Fresnel lens. This makes the light emitted by that tiny object special, soft, deep and diffused. 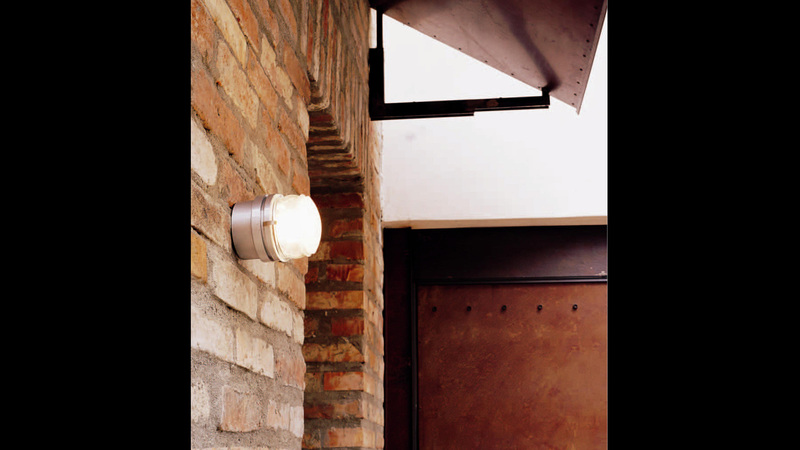 Suitable for both outdoors and indoors with high protective ability which makes it perfect for damp environments, the Fresnel is a lamp designed by Joe Colombo to pass unobserved. It is one of those perfect objects which cannot be improved on because they are timeless, designed by countless people just like chemist’s glass tubes and rods, Chianti flasks, a peasant’s scythe or scientific instruments. Outside floor lamp giving direct and diffused light. Lacquered aluminium support and Fresnel lens diffuser. 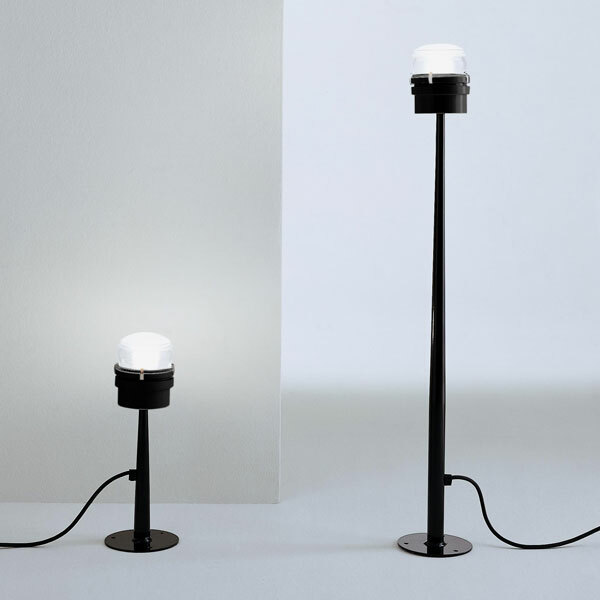 Zinc-plated metal pole painted polyester black.